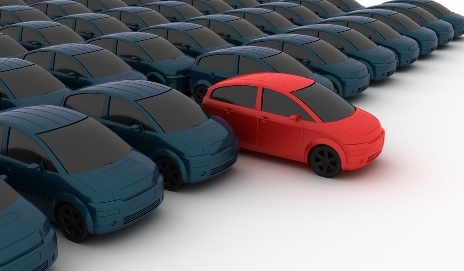 Many people are familiar with the mental phenomenon of “frequency Illusion.” It happens when you buy a new car and suddenly, you see the same car everywhere. Or when a pregnant woman suddenly notices other pregnant women all over the place. It’s a passive experience, where our brains seek out information that’s related to us, but we believe there’s been an actual increase i n the frequency of those occurrences. I believe the same spiritual phenomenon happens when we study the Word of God. Recently, I have been researching the topics of sacrifice and servant-hood and I am seeing these everywhere in the Scriptures right now. I could write volumes from what I’m learning. But God brought me to a recurring realization that I need to be careful when interpreting Scriptures. I should never come to the Word clouded by my own bias and agenda. When we look for Grace, we find it everywhere. When we look for condemnation, we can find that, too. This process has been the downfall of many men and women. The Scriptures are a living, breathing document and are created to speak into our hearts in every situation, but we need to always be cautious. We need the Holy Spirit to help us “rightly divide” the Word. Holy Spirit never let me stray from the true intended meaning of the God breathed Word. « 10 “resolutions” in 2014 that will ensure things won’t change.